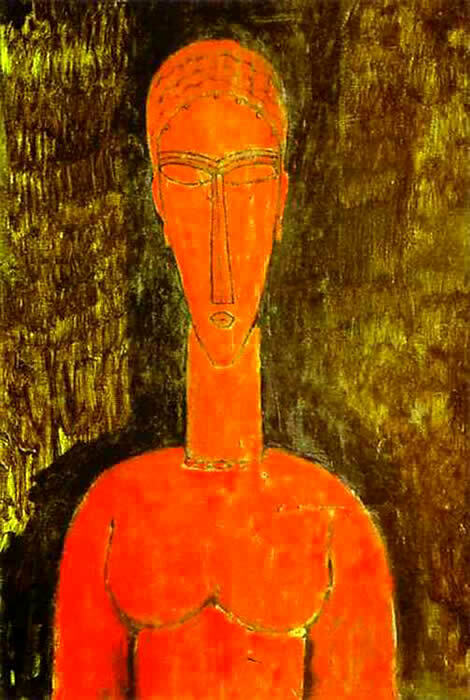 Modigliani and Art Authentication: Before you begin. 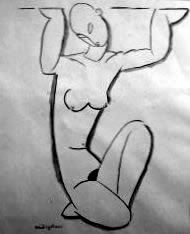 * Before entering into a full investigation of the legitimacy of a work of art, be it academic, forensic or as with most cases, both, it is essential to know if the project is at all viable and possibly provable. Much as you would need to know if you were taking a legal case to court. Logically, if it is not, you should not attempt it as the risk of failure is too high. We prefer to make a preliminary and vital professional pre authentication assessment for clients first. 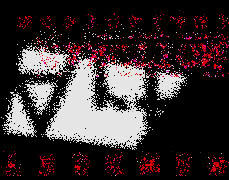 One based upon the images you supply, the full details and the items history. This is a sensible & cost effective professional assessment and advisory for which there is a modest set fee. 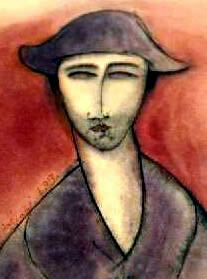 One man who turned making Modigliani fakes into an industry was the Hungarian aristocrat faker, Elmyr de Hory. One of the last century’s most celebrated art forgers with a claim to fame of producing over 1,000 fake art forgeries in his lifetime. 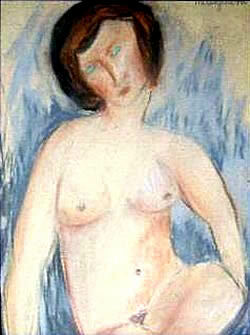 Exactly how many Modigliani works he forged is unknown, but 'many' is an understatement! 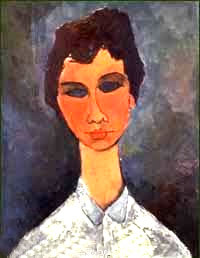 Born in Livorno in Tuscany in July 1884, Amedeo Clemente Modiglianni is almost as legendary as Van Gogh, his portrait works recognised easily by their unique style and form, the signature of the great man himself. 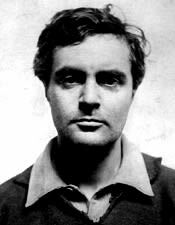 With art collectors paying millions for legitimate Modigliani works, it isn't surprising that Modigliani levels out as one of the most faked artists on the planet. 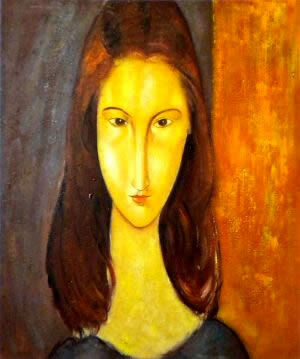 Freemanart, an international art authentication agency who specialise in art authentication procedures and authentication investigations. 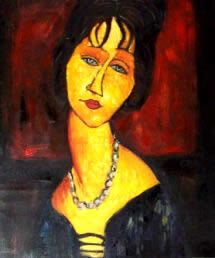 We investigate dozens of fake Modigliani works of art from all over the world including; Modigliani paintings, drawings & sketches, to full blown attempts at forging Modigliani look alike sculptures and do so annually. 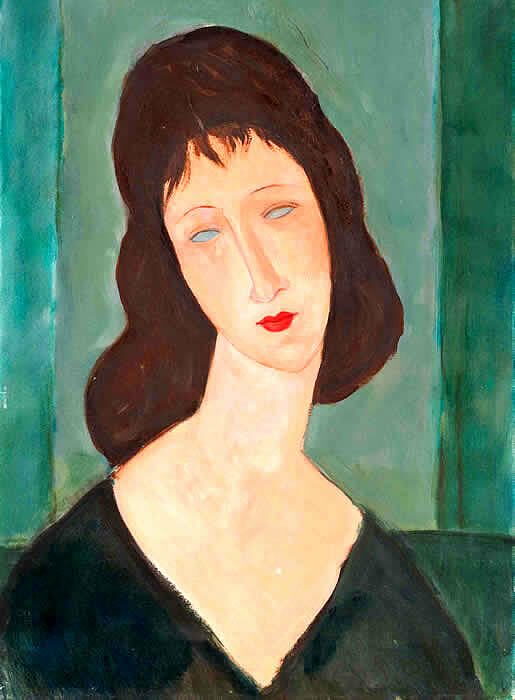 Jeanne Hébuterne, an aspiring and talented artist herself was the shy student who would become painter & sculptor Amedeo Modiglianni's final model and lover posing for many portraits. 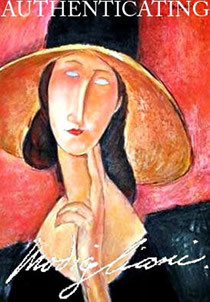 Modigliani experts have argued relentlessly over the authenticity of many works of art purportedly or previously attributed to Modigliani and still do. 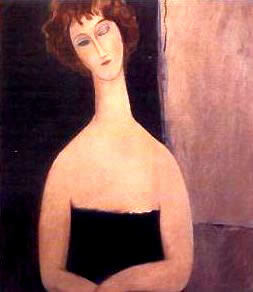 A stone sculpture by Amedeo Modigliani (above left) has sold for €43 million (£36 million) at a Paris auction. 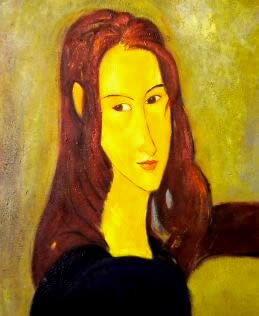 To its right one of four Modigliani fake sculptures created in Italy as a hoax which went badly wrong. 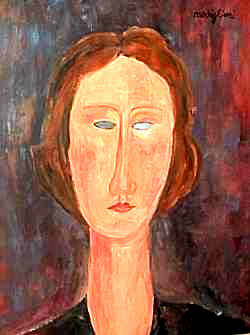 The Freemanart Consultancy specialise in the procedural investigation into authenticity and the authentication of Modigliani's art work Modigliani art authentication investigations, Modigliani archive research, forensic art examination and analysis of the paintings signed, claimed to be by or believed to be by Amadeo Modigliani. 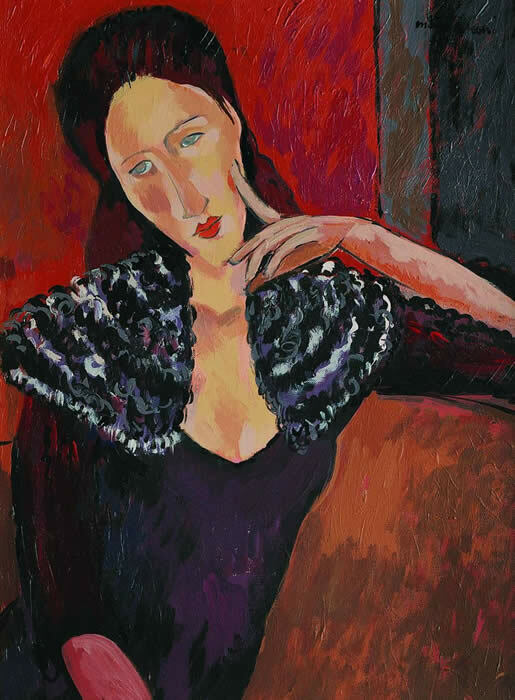 With bases and laboratories in France, Spain, Italy, Germany, the UK and Canada, we are ideally placed for all Modigliani authentication procedures and investigations. 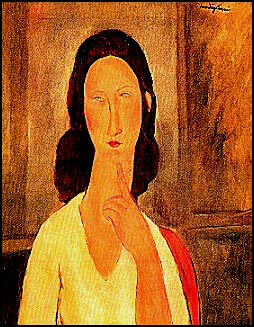 As European law confirms the right to seize, impound and destroy any counterfeit works of art proven to be illegitimate, it is imperative to have and build a responsible and provable case for the authentication of Modigliani's works. Freemanart are here to help and advise. Images; Jackie Freeman Cornwall - England.